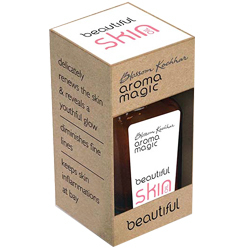 Aroma Magic Beautiful Skin Oil - Diminishes Fine Lines, Reveals A Youthful Glow, Skin Inflammations at bay. Skin and reveals a youthful glow. Delicately renews the skin and reveals a youthful glow.